to help solve this problem. 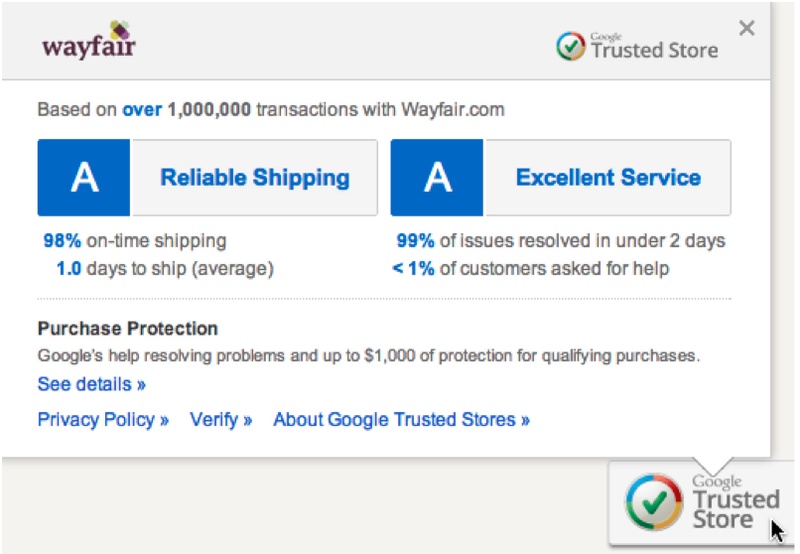 When shoppers see the Google Trusted Store badge, they know in a snap they’re shopping with a reputable retailer and they can feel confident making an informed purchase. *Increased sales percentages are based on a combination of uplift in conversion and average order size.